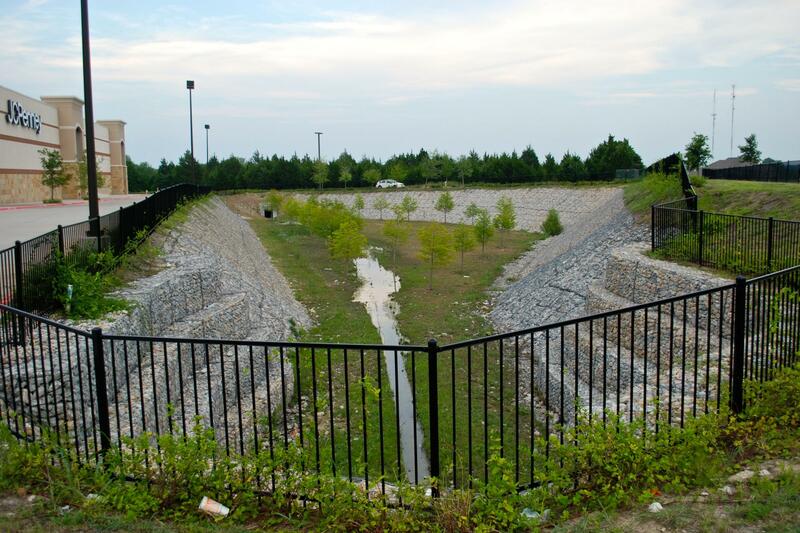 Metropolitan Infrastructure assisted a specialty contractor in designing a series of slope stabilization walls for several detention ponds in a large commercial development. The slope protection walls consisted of gravity walls and sloped gabion structures. The designs required calculations and analysis for slope stability using Macafferi proprietary software.